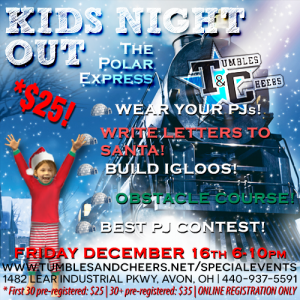 Kids Night Out & Tumble Camp! Check out our two big December events! Click the images to register! !